Oshi is one of the few Bitcoin casinos where you can find clear information regarding the ownership and registration details. The famous Curacao-based gambling operator Direx N.V. owns this fun gambling site. They are also behind some other fantastic gambling platforms like Betchan and Bitstarz; you can find reviews of them on bitfortune.net. 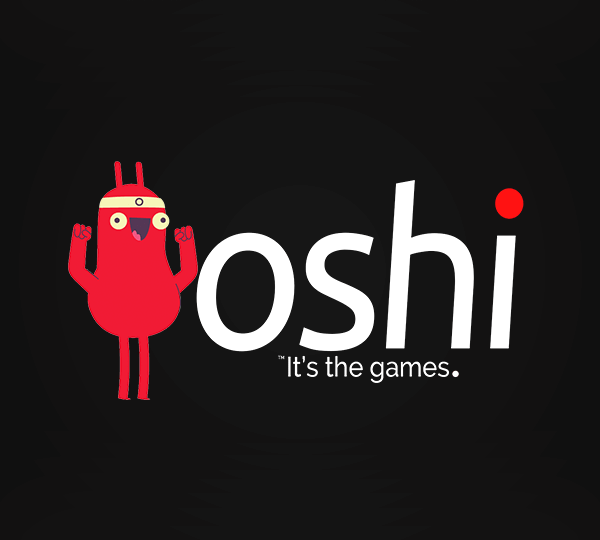 But today, we will review their Japanese-themed brother, Oshi. In this Oshi casino review, we will walk you through the key features that make this Bitcoin casino stand out from the competition. There isn’t one single thing that guarantees a complete gambling experience; it’s a combination of many factors. For Oshi those factors are a big selection of games, fantastic welcome bonus pack, tournaments, generous promotions, and VIP program. Not a single dull game! What makes this casino a one-stop destination for numerous gamblers is the extensive collection of slots, card games, jackpots, roulette, blackjack, and various live dealer games. Finding your favorite games is easier than ever before. You see, this online platform features advanced search functionality that enables browsing the game collection with a dozen different filtering options. On top of that, Oshi uses SoftSwiss software, making their games provably fair. And for all other game providers on Oshi casino, iTech Labs verifies their Random Number Generator (RNG) independently. Build your own Welcome bonus! Oshi has no competition when it comes to bonuses. It offers probably the most incredible Welcome Bonus Pack that goes up to 0.133 BTC. Plus, as a newcomer, you can get up to 290 Oshi free spins. The best part, Oshi will let you build your own first deposit bonus; you can choose to receive more free spins or match deposit bonus. Yes, it seems too good to be true, but it’s a real thing. Although an Oshi casino no deposit bonus is not available at the moment, they offer some other entertaining promotions, most notably a weekly lottery, up to 10% cashback, and exciting slots tournaments. The Oshi website features clear, intuitive, and exceptionally user-friendly layout. Besides the easy navigation, another crucial technical feature is the quick game loading times. Thanks to these two aspects, Oshi offers an unparalleled gaming environment. Additionally, the Oshi casino login and registration process is as quick as it gets; they will ask for your email only. For both payment and withdrawal transactions you can use Bitcoins and real currencies such as Euros, Dollars (AU, CAD, and USD), Swedish and Norwegian Krone, Russian Ruble, and Chinese Yen. Just keep in mind that your anonymity depends on the currency you select; Bitcoin being the most private one, of course. The software quality is guaranteed by the mere fact that the games on this online casino are made by top providers in the industry like NetEnt, Microgaming, BetSoft, Zugi, Amatic, iSoftBet, and SoftSwiss, just to name a few. Furthermore, despite not having a dedicated Oshi mobile casino app, their website is fully optimized for all screens. That means you won’t notice any difference while gaming on your mobile device. Is Oshi secure and reliable? As you might have read in previous Oshi io reviews, this is one of the most secure online casinos. The SSL encryption ensures safe financial transactions. This casino also holds a gambling license, in addition to the certification for provably fair games. By summarizing the facts we talked about in this Oshi casino review, we can confirm that Oshi offers everything that online gamblers need for a complete gambling experience. From the big selection of provably fair games, incredible bonuses, promotions, and tournaments to various payment options, this casino has it all. So, regardless if you are a veteran or newbie gambler, one thing is sure, you will be entertained.